Holiday house in a small enclosed residential estate comprising 6 houses. The property enjoys a quiet location within walking distance of the village of Rasteau in the vineyards of the Haut Vaucluse. In the old village, on top of the hill, with a 12th century Romanesque church, the ruins of an Episcopal castle and a village square, you'll find more like a grocery, a fruit and vegetable shop, a bakery, a cafe and a tourist information. Near the house is a restaurant serving simple local dishes. In the house you can enjoy the tranquility and panoramic view over the village, the surrounding hills, vineyards and the protected nature of the Dentelles de Montmirail. In the private garden you can enjoy privacy and prepare meals on the barbecue. There is an outdoor swimming pool of 11 x 4 m shared with other guests. On the ground floor you will find the living room where you can watch TV with satellite channels or a DVD. The open plan kitchen is equipped with a combi microwave, a dishwasher and a refrigerator with freezer. In the storage room you will find a washing machine and a tumble dryer. There is a separate toilet. On the first floor there are two bedroms, one with a double bed and one with a single bed, a trundle bed and a bunk bed. The bathroom has a shower and washbasin. Again there is a separate toilet. Air conditioning is available. - Please note that bed linen and bath towels are not included in the room rate. Guests can rent them at the property or bring their own. - Bed linen is available for an additional cost of 10 EUR p.p./stay. - Bath towels are available for an additional cost of 10 EUR p.p./stay. - Kitchen linen is included in the price. 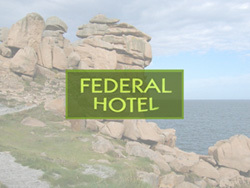 - Please note that the electricity fee of 4 EUR/night (Oct-Apr) is not included in the room rate. This holiday home features a kitchen, view and dishwasher.